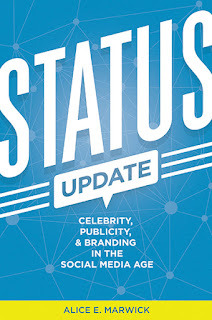 Alice Marwick’s book Status Update: Celebrity, Publicity, and Branding in the Social Media Age is a very important and timely book that deserves widespread attention in development and ICT4D circles. Her ethnographic study on status, hierarchy, reputation and (in)equality in the tech scene of the Silicon Valley raises important questions that go far beyond the American start-up scene. (M)y interactions made clear that the tech scene had, in fact, a strict social hierarchy. It mattered what company you worked for, whether you were an entrepreneur, and how much attention you received online. I hypothesized that studying the status structure of this community (…) would reveal a great deal about how status was build into Web 2.0. and thus illuminate how popular social software may promote inequality rather than counter it (p.4). The development industry may be lagging behind the tech avant-garde in the Silicon Valley, but Marwick’s focus on ‘what types of selves are people encouraged to create and promote while using popular technologies like Facebook, Twitter, and YouTube?’ (p.5) is gaining more and more momentum in an age of viral campaigning and fundraising, TED talks and social entrepreneurial approaches to ‘end poverty’. Most importantly, comparing Marwick’s key observations and findings to contemporary debates in aid and philanthropy may help us to discuss more critically in what direction the sector is moving and how we can ensure that social change can still be enabled. The leaders in this culture are the same people that technology discourse has celebrated for fifty years: young, white, rich men. (…) While the technology scene couches this hierarchy in arguments about “meritocracy” that are identical to those used by Web 2.0 celebrants, those deemed successful at social media usually fir into a narrow mold, and (…), those who don’t are criticized (p.18). Sounds awfully familiar to the discussions at your last ‘tech salon’, ‘data for development’ or ‘incubator for social entrepreneurs’ workshop, doesn’t it…? Her introductory chapter sets the scene and tone for the book nicely; while not filled with particularly new insights, this is a very readable and concise overview over ten or so years of ‘Web 2.0’ economy and culture-a great essay to kick off your undergrad class. But Marwick’s analysis certainly does not remain on the level of a pop-cultural essay in your favorite U.S. East Coast magazine. She quickly opens her vault of interview data, event observations, curated social media content and theoretical analysis and her engaging prose easily lets us into the behind the scenes of the tech industry’s status building activities. For my interviewees, discourses on status helped to naturalize economic hierarchies by framing them instead as social ties. The tech scene idealizes openness, transparency, and creativity, but these ideals are realized as participation in entrepreneurialism, capitalism, work-life integration, heavy social media use, and the inculcation of large audiences (p.110). Boom. Don’t tell me that this doesn’t resonate with your own lived and professional experience in the communication for development universe! The Fabulous Lives of Micro-Celebrities – coming to a development project near you soon? Becoming a micro-celebrity requires creating a persona, producing content, and strategically appealing to online fans by being “authentic” (p.114). I think Marwick outlines the next frontier for celebrity research in development-research that goes beyond critical engagement with ‘Angelina Jolie in Africa’ or ‘George Clooney and the white savior complex’: Are we witnessing the rise of new forms of fame and new celebrities-and does it matter for development? As Marwick’s story unfolds, we are introduced to a world of gossip, relationships and (online) personalities – imagine your favorite development blogger would suddenly pop up on TMZ or a similar celebrity gossip space…it may not quite work that way as most of them have ‘day jobs’ in NGOs or universities and with the exception of isolated cases such Invisible Children/Kony 2012/Jason Russell, it is hard to imagine where and how personality, brand and development organization merge or clash. But back to Marwick’s book and her next chapter that features interesting case studies around ‘self-branding’. As widely and loosely as the term is used these days (who isn’t required to do at least a minimum amount of self-branding?!) Marwick highlights with two case studies the existential paradox behind it: ‘if one’s projected self is both “authentic” and “businesslike”, the assumption becomes that people never do anything that would be considered unbusinesslike, illegal, or controversial in any way’ (p.199). (A)lthough my informants often found freelance project-based culture to be creatively fulfilling, they also were burdened by the stress of continuous self-monitoring-a burden that demonstrates the dissonance between neoliberal ideals and the reality of day-to-day life (p.204). 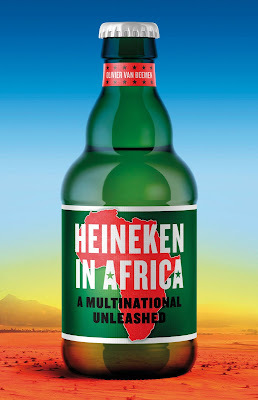 Again, you can discuss this with your consultant friends, development studies adjunct teachers or contract workers from anywhere in the UN system to NGOs-the age of self-branding has certainly arrived! (E)veryone wants to be in business with young, white, male entrepreneurs with connections to high-status people, a pedigree from certain companies, a well-known mentor, and perhaps a Stanford degree (p.255). This sounds quite familiar when you envision your ‘perfect’ development professional with the right, ‘critical’ degrees from a UK university, internships and travel or work experiences. Although this scene incorporates many countercultural, radical presuppositions of activist movements (…) it does so in a way that prioritizes personal reforms over structural change (p.279). But Marwick’s book deserves more credits as an excellent example of ‘netnography’-exploring digital culture with ethnographic methodologies; the book is an excellent ethnographic and sociological analysis of how lives, work, brands and ‘stuff’ is rapidly changing and that the debates in international development can benefit from engaging with this book and where celebrity, publicity and branding will take us in the digital age. The fact that the book is well edited, very readable and does not feel too ‘academic’ rounds off my recommendation as a worthy contender for your intellectual summer reading list! 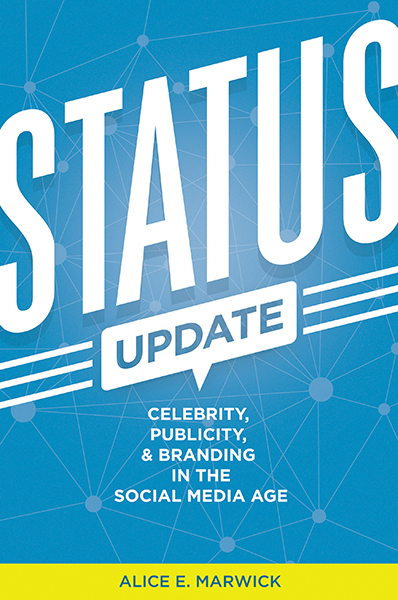 Marwick, Alice E.: Status Update: Celebrity, Publicity, and Branding in the Social Media Age. ISBN 978-0-30017-672-8, 360 pages, USD 27.50 (cloth)/ 20.00 (paper), Yale University Press, New Haven, 2013.